The Criminal Investigation Department (CID) of the Ghana Police Service has officially charged Gregory Afoko – brother of Paul Afoko, suspended National Chairman of the New Patriotic Party (NPP) – who was arrested in connection with the fatal acid attack on Adams Mahama, the Upper East Regional Chairman of the party, with murder. This, according to Commissioner of Police (COP) Prosper Kwame Agblor, Director General of the CID, was contained in a directive issued from the Attorney General’s (AG’s) Department. 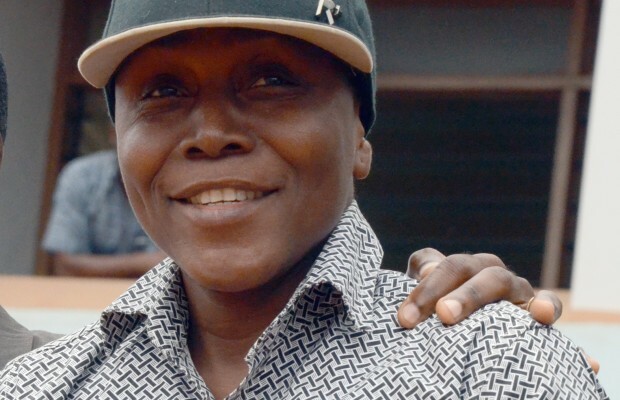 Both Gregory Afoko and Asabke Alangdi, the two suspects in connection with the death of Adams Mahama, have been charged with conspiracy to commit murder and murder. Meanwhile, Alangdi is still on the run. COP Agblor told journalists in Accra yesterday that his office was going to formally charge Gregory Afoko accordingly and forward the charge sheet to the AG’s Department to enable it include it in the bill of indictment, summary of evidence and committal proceedings to move the case from a magistrate court to the high court. He added that a manhunt had been launched within and outside Ghana for Asabke Alangdi, who fled soon after the incident together with his wife leaving behind their little son. “We are working together with Interpol to arrest Alangdi who is currently on the run. Anyone who has information about his whereabouts should contact the CID for a handsome reward,” COP Agblor stated. However, he said the Attorney General’s Department had also advised the CID to release Musah Issah, one of the accused persons standing trial over the murder of Adams Mahama, due to insufficient evidence against him. On Thursday, May 20, 2015 Adams Mahama, a contractor and the Upper East Regional chairman of the NPP, left his house at about 7am in a Toyota Pick-up with registration number NR 761-14 and returned home at 11pm and was allegedly ambushed by the two suspects who poured a liquid substance suspected to be acid on him. “When Adams Mahama got to his gate in the vehicle, the two suspects signalled him to roll down his glass and they poured acid on him from his head down. He started shouting for his wife and mentioned the names of Gregory Afoko and Asabke Alangdi even on his sick bed. Adams Mahama died a day after at 8am,” the police officer recounted. He said in the course of their investigations, they retrieved a blue-black tracksuit from Gregory Afoko’s room which contained acid burns. Gregory also had some burns on him which forensic analysis later confirmed to be acid burns. The case is already before a magistrate court presided over by Worlanyo Kotoku and has been adjourned to November 25, 2015, awaiting the advice of the AG. According to the police charge sheet, after his arrest Gregory was asked to lead the police to the house of his accomplice (Asabke Alangdi) but “he rather took them to the father’s house. Police later located the house of the second but the suspect had got wind of their presence and absconded with his wife, leaving behind their baby.